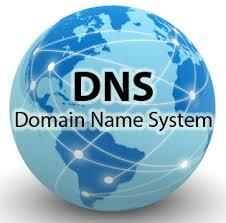 The DNS (Domain Name System) is a massive network of servers that comprises the largest digital database on the planet. This database is maintained, managed and regulated by several internet authorities, including the IANA (Internet Assigned Numbers Authority) and ICANN (Internet Corporation for Assigned Names and Numbers). Many people confuse the various terms associated with the DNS and mistakenly refer to them as either the same thing or completely separate entities. In truth, they are neither separate nor are they the same thing; rather, they are integral pieces to the puzzle that is the world wide web. If you're interested in learning the difference between a DNS and a name server, then you may want to consider the following information. Contrary to a seemingly popular misconception, DNS does not stand for Domain Name Server or Domain Name Software. DNS is an abbreviation for the aforementioned system that catalogs every domain and IP address on the internet, including registration information, as well as their relation to other domains and web hosts. The DNS is the central database of the internet, and without it, the internet would cease to exist as we know it. Before the domain name system was devised, computers would connect to each other via IP addresses, which are strings of segmented numbers separated by dots. An example of an IP address would be 127.0.0.1 (a common IP address for a local router). The domain name system attaches a name to this number so that site visitors can easily remember and return to web addresses. Every web site has two name servers to which it is pointed, and this process must be done by the webmaster upon purchasing a domain and a hosting account. If you have more questions about domain name pointing and your web hosting name servers, it is recommended that you contact your web hosting provider.